Brand New for Autumn 2018, the Skelly Pot and Tray - the greener way to garden. Just launched at the UK's premier Horticultural Trade Show, it won Best New Professional Product, and we are delighted to be the first to offer it to the amateur garden market. 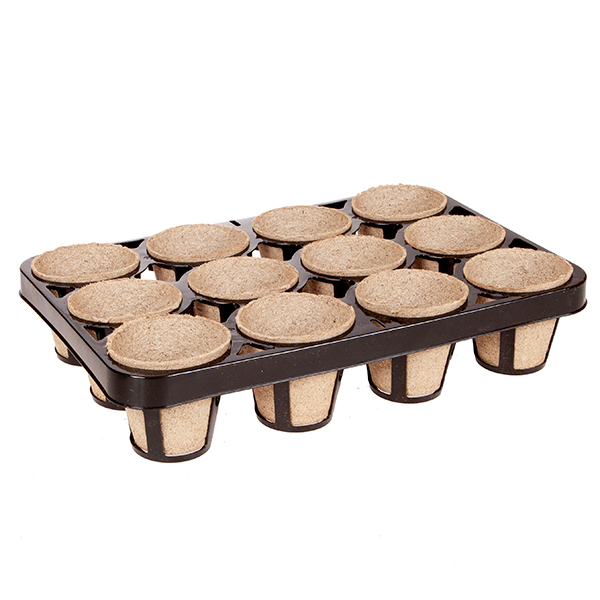 There is clear pressure and desire to reduce single use plastics now, and these compressed peat Jiffy Bio pots are perfect, giving 3-4 months of growing pants in them as they slowly degrade, meaning once rooted to plant them pot and all into the garden or planter. 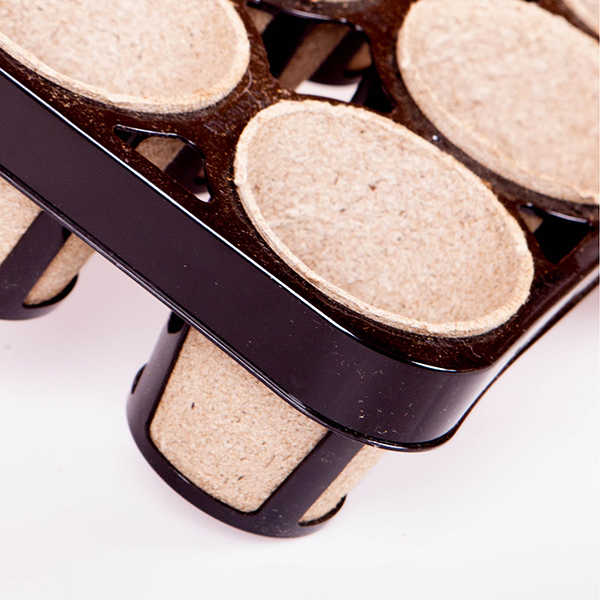 The game changer is when combined with the 'Skeleton' tray, the unique design allows lots of air to circulate round the side of the bio pots, as opposed to very little when they are wet and rammed into a solid-sided plastic trays. The benefit of this is 'air pruning' - when a new root hair meets the air, it stops growing out, and increases branching and new root development in the compost, as well as letting more air into the compost too. This creates stronger, more well-rooted and compact plants that race away with no transplant shock when potted on or planted out. 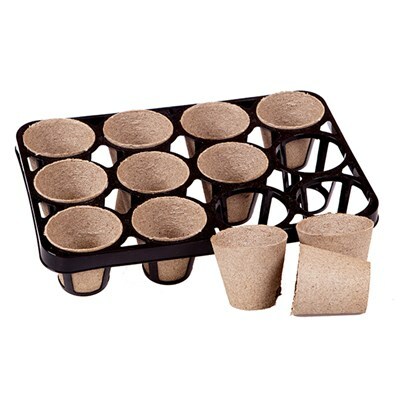 Perfect for pricking out seedlings and plugs for 3-4 weeks to grow on, or sow or root your own cuttings in them. 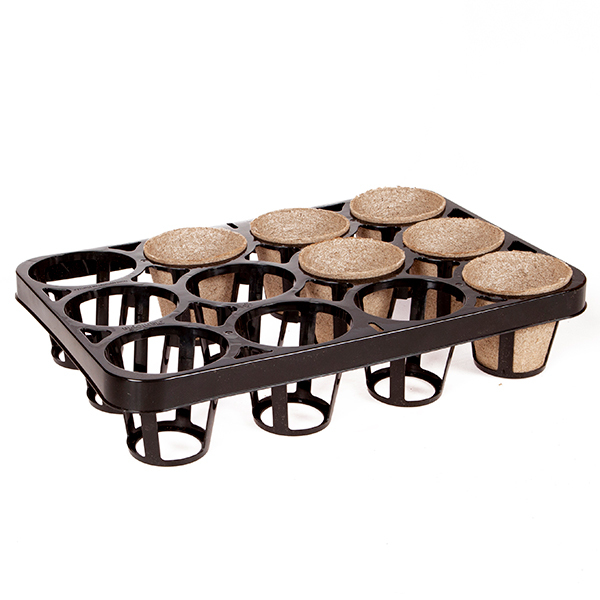 Supplied as 10 trays, each with 8cm diameter Jiffy Bio pots for 12 plants, 120 in total. 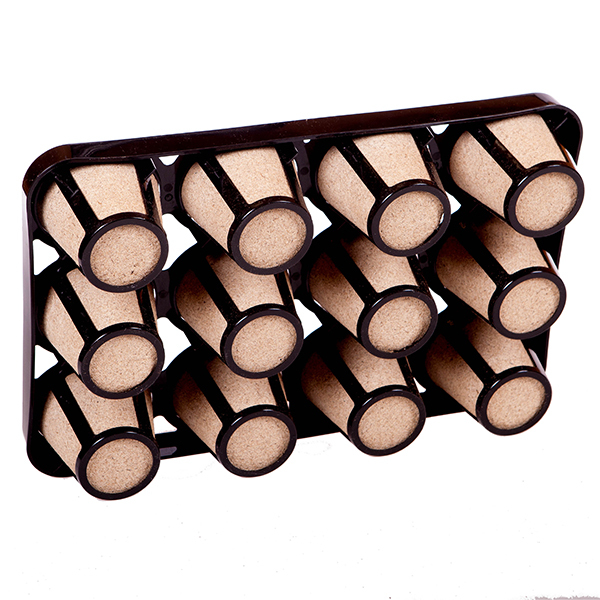 Refill packs of biopots are available.